The new budget has blown the top off the old budget, and this, from conservative lawmakers. It exceed prior spending caps, and suspended the debt limit for a year. As part of the package it did refund CHIP (Children’s Health Insurance Program) for four years. CMS is the Center for Medicaid Services. According to their actuaries, health spending in the nation will increase by about 5.5%per year to $ 5.5 trillion dollars, nearly a fifth of the economy. The fastest growing sector of health spending is prescription drugs, estimated to grow by over 6% per year in the next decade. Due to the Affordable Care Act, (ACA) personal spending for health care has been at historic lows, though it is projected to increase, even under the ACA, at over 2.2% per year, which is over the cost of inflation which is 1.9%. Whether or not this is good, bad or indifferent, I cannot say. As a mother and as a physician, I feel we undervalue our health care and its costs. We spend on electronics, vehicles and vacations, which are important, but forget that health is at the foundation of it all. The Trump Administration is disinclined to regulate drug prices. However, they propose “easing government regulations (read: protections) to “spur innovation” to “lower drug prices”. They also proposed expanding drug coverage and placing a cap on out of pocket spending for Medicare recipients. While the federal government will not regulate drug prices, it will allow up to five states to band together to negotiate drug prices. The ACA has a dependent provision saying that children up through the age of 26 may stay on their parent’s health insurance policies. 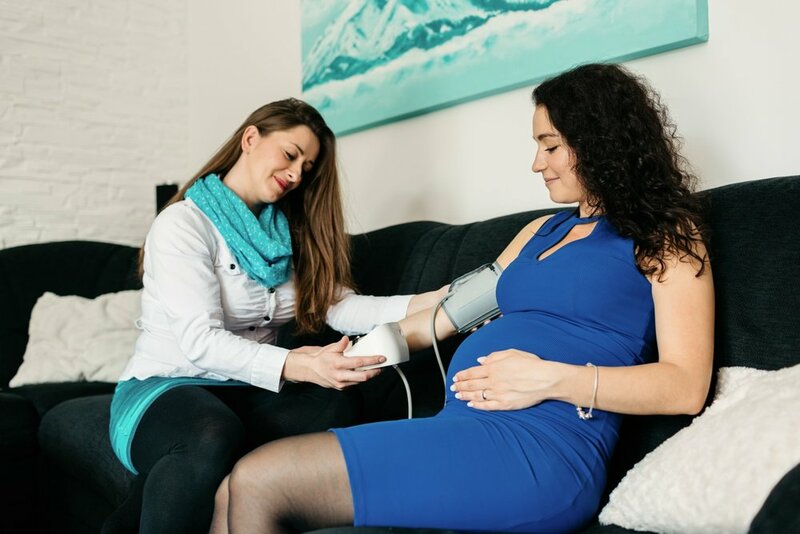 A study recently published in JAMA, the Journal of the American Medical Association, has revealed that this provision resulted in increased rates of prenatal care, early prenatal care, and reductions in preterm birth. As an Ob/Gyn I can tell you that one of our holy grails is finding a successful approach to preterm birth. Looks like having health insurance might help. Maternal Mortality is four times higher for black women than white women in our country. Access to prenatal care is believed to be part of this. A recent New York Times editorial featured a free Obstetrics clinic in Florida who accepted clients regardless of ability to pay. They were able to document a 40% reduction in preterm labor and low birth weight in this group. I reported earlier on the Utah bill which will provide for the use of Medicaid funds to provide family planing services to low income women. Part of the genius of this is that these are not just any poor women. These are women who are below the poverty level, but who are not so poor that they qualify for Medicaid. They are the so called women in the gap. Lawmakers would save everyone money if they gathered data about the lowest income at which one can reasonably afford private insurance, and made that the same level at which one qualifies for the Affordable Care Act. From there, the ACA should cover straight down to incomes which qualify for Medicaid. Then there would be no gaps. Rocket Science. Health care is a case of pay now or pay later. By now, everyone including consumers and lawmakers should understand that attending to health and paying for it up front saves both money, productivity and suffering in the long run. This is the single most important message I can tell you. Planned Parenthood has been under scrutiny, defunded in parts, and under continuing threat of more defunding. Planned parenthood provides many primary health care services at very low cost, not just family planning services. Their services disproportionately benefit women. Many associate their defunding in certain states like Texas, with increased rates of Maternal Morbidity and Mortality. This last week, leadership of Planned Parenthood announced they will begin a campaign of legislative action in key states. West Virginia is attempting to supercede Federal Law. Their Senate has passed the “no constitutional right to abortion” amendment, and it now heads to their House. All this is despite the federal law Roe Versus Wade which guaruntees the right to abortion within various age parameters. One opposing Democratic senator, a physician, simply read ACOG’s (American College of Obstetricians and Gynecologists) statement of opposition to the measure as his response. Think all this sounds implausible ? Think again. The Iowa Senate has approved a bill to ban abortion after a heartbeat is detected. We routinely detect heartbeats at 5.5 to 6 weeks after the last menstrual period. The bill includes a provision to charge physicians who do such procedures non-emergently with a Class D felony. Opponents of the measure are many. The University of Iowa would lose it’s accreditation of it’s residency program in Obstetrics and Gynecology if this were to be the case. This is because,to comply with the state law, the Program's policies have to comply with medical science and recommendations. This would worsen the problem of the shortage of Obstetricians and Gynecologists. In the recent past, Betamethasone steroids were only given to women expected to deliver before 34 weeks. More recently, the recommendation is to expand the use up through just before 37 weeks., the so-called late preterm period. Steroid given in this way decreases pulmonary (Lung) problems in the premature newborn. New research presented at the Society for Maternal Fetal Medicine has concluded that up to $200 million in savings could be realized by following this new recommendation. Increasing evidence shows that ovary cancer starts in the tubes rather than the ovaries. You might know this already if you have recently been counseled about a tubal sterilization procedure. In the past, we performed sterilization by tying, clipping, or cauterizing the tubes. However now we offer patients removal of the tubes to confer additional cancer prevention. American “fertility rates” are falling. This could be misconstrued as meaning more American women are infertile. However, this is not what it means. It does mean our birth rate is decreasing. Researchers believe this is explained by later marriage, smaller families, better adoption of birth control and fewer births among the unmarried. Their are varying assessments of this trend. Some people believe economic prosperity is dependent upon ever increasing birth rate, but this is an outdated and flawed analysis. Some believe that decreased birth rate alone will rescue the environment. I wish it were that simple. Data shows that income, educational attainment, and savings all increase with smaller families. HPV vaccine rates are still low. They are rising, but are still low. It is effective and has nothing to do with the choice to become sexually active. It prevents cervical cancer and genital warts. The side effects are limited to the side effects of an injection. What’s not to like ? Juice is out. Juice has been out for some time but many people seemed to have missed the memo. Many people still think that drinking 100% pure (even organic) fruit juice is a healthy thing to do. It is not. It is too much fruit sugar, in too broken down a form, for people to metabolize without spiking their blood sugar and risking fat deposition. A calorie is not a calorie. The RATE at which sugar enters your bloodstream is key. The rate with juice is just higher than our physiology can handle. It is far better to eat the whole fruit itself. The fruit has structure, even once chewed or blended in a smoothie, and it will enter the bloodstream in a slow release fashion. 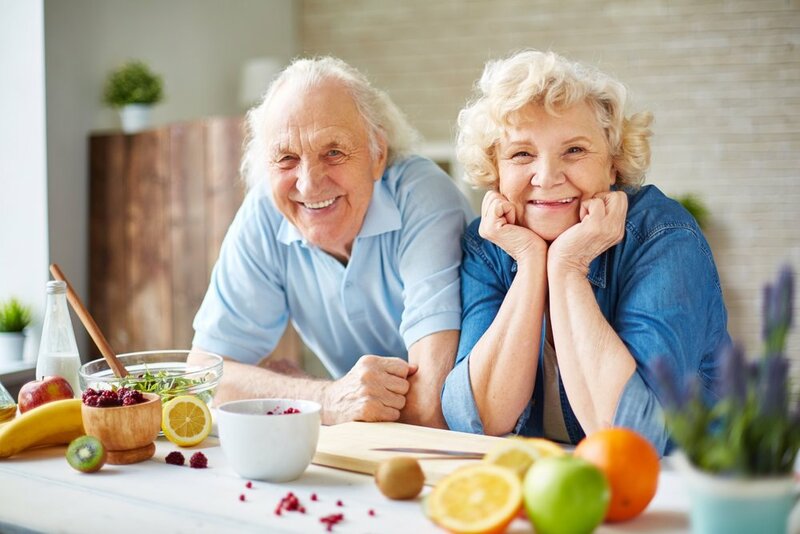 New research has shown that postmenopausal women who have a single 6 ounce serving of fruit juice per day persistently gain weight over the years. Of course many factors probably go into this, but the juice drinking may be a marker for misconceptions they have about nutrition. New research shows that who who meet criteria for and get MRI for breast cancer screening get more “invasive” (meaning with a needle or some other sharp object) biopsies. They say it like its a bad thing. Of course they get more biopsies. We see more detail and raise more concerns. The research goes on… fewer of these biopsies result in a cancer diagnosis”. AGAIN they say this like its a bad thing ! It is good to have no cancer diagnosis. What we are seeing here is a natural expectation of increased sensitivity and decreased specificity in the testing. 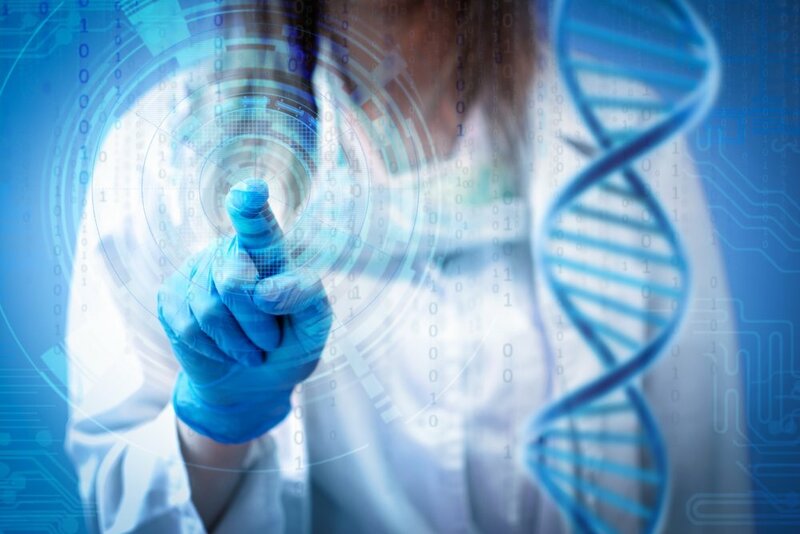 There are more false positives, which we as a society have decided to accept as the “cost” of earlier diagnosis and better cures. So we as a group trade more pokes with a big needle for many women in exchange for greater years of life for a few. Sounds like a bargain to me ! Read these sensational headlines with care people, and don’t be afraid of needles. Sharp objects are your friend. And by the way, they talk about “invasive biopsies” like there is even such a thing as non-invasive biopsies. Spin the headlines much ? It is still meaningful to get your flu vaccine. If it does not prevent flu, it still will decrease the severity. If you don’t want to do it for yourself, do it for the unwell, elderly, children or pregnant women about whom you care. They are especially vulnerable and the death toll nationwide is appalling. Anti-vaxxers, take notice. There is cost to what you say. Stay tuned next week for more intense news from the world of Obstetrics and Gynecology. As expected, the Trump administration is planning to roll back the contraceptive mandate. The contraceptive mandate requires that insurers cover costs for contraception without copay. The proposed change in regulation would allow employers to refuse to cover contraception because of religious or moral objections. This change will not go unchallenged, Numerous lawsuits will likely be initiated if this change takes place. Those objecting to the contraceptive mandate often cite their objection to certain birth control methods which prevent implantation. However, mainstream authorities focus on the fact that increased contraceptive availability is associated with plummeting incidence of abortion and unplanned pregnacy. In other policy news Texas plans to continue funding their task force to determine the causes of their alarming rate of maternal mortality. It is really a shame that Texan’s don’t just save their money and acknowledge the obvious: that increased maternal mortality is directly related to their gutting of health care services to women. At this time, one quarter of Texas women lack health insurance. Data from many quarters tells us that this is a sure fire way to ensure poverty and high maternal mortality for many generations to come. Arkansas is racing to the bottom as well. A Federal Appellate court in St. Louis has ruled that Arkansas can block Medicaid funding to Planned Parenthood. Winning the race to the bottom, is of course the the Trump administration, who has resolved to cut Teen Pregnancy Prevention program funding. The American College of Obstetricians and Gynecologists (ACOG) came out with a swift condemnation of this plan. The current administration supports abstinence only programs, and yet asserts they favor “ evidence based” programs. Sling that medical jargon. Lawmakers have prevailed upon the Trump administration to make the Federal Government insurance subsidy payment for August. In fact, it is Republican members of Congress together with Democrats who have convinced the administration to continue payments, fearing a collapse of insurance markets. They believe this will buy time for a bipartisan solution to stabilize the markets. The CBO (Congressional Budget Office ) continues to warn that ending subsidies with cause premiums to rise by 20% by 2018. In encouraging news, Oregon has passed law budgeting half a million dollars to expand comprehensive reproductive health care coverage for all its citizens. The law also requires insurers to cover such services with no out of pocket cost. Available evidence tells us that, as a direct result, they should expect decreased rates of unplanned pregnancy and abortion, with increased levels of educational attainment among women, decreasing unemployment statewide, and increased standards of living. It is time for us to start thinking about obesity in more sophisticated ways. Obesity is a devastating and widespread medical problem. It is also very personal and for that reason it is challenging to discuss and treat. We are now beginning to understand that the causes of obesity include but are not limited to individual habits. For example, poverty and its many causes factor in strongly. We can graph the incidence of obesity on maps and thus understand obesity is part of culture as culture spreads across geography. New research out of the National Institute of Health has revealed that the “ origins of obesity lie as much in early childhood - even prenatally and intergenerational- as it does in an individual’s current behavior. “ Obesity is closely tied to many forms of human suffering and disease, from heart disease and diabetes, hypertension and cancer, to poor self esteem and depression. Further research is necessary, by all means. However to effectively address this serious problem, both patients and physicians are going to have to do better at mustering their courage and talk about obesity in frank and accurate terms. You might have noticed my mention of obesity as having a role in increasing cancer risk. Maybe you were not aware of this, since there is not an obvious connection. However, we have always know that obesity is associated with many types of cancers. However, new research from the Journal of the Academy of Nutrition and Dietetics sheds more light on the subject. It turns out that “ women who eat a lot of high calorie foods may face a slightly higher risk of obesity related cancers - even if they remain thin” The study went on to elaborate that “ women who favored low nutrient high calorie foods had a 10% higher risk of cancer linked to obesity. “ Cancers related to obesity include cancer of breast, colon, ovary, kidney, and endometrium (uterine lining). A new study from the Canadian Medical Association has shown that oral cancers related to the HPV are on the rise. Between 2000 and 2012 it is believed that the incidence of such cancers has risen by 50 %. Smoking in pregnancy is still a big problem. It turns out that depression in pregnancy makes smoking more likely. This tendency of smoking during depression in pregnancy is on the rise, according to new research published online in the October issue of Drug and Alcohol Dependence. HPV and smoking are a bad combination. Did you know smoking greatly accelerates the progress of HPV related disease ? HPV has an effective vaccine against it. However, new research indicates that less than half of girls and a quarter of boys are vaccinated. HPV ( Human papilloma virus ) has a vaccine. Humans papilloma virus causes genital warts, precancerous and cancerous lesions of the genitalia and mouth. Vaccines are available for young people from the ages of 9-26 years of age. They have little in the way of known side effects. In other virus news, there have been no locally transmitted cases of Zika viruses in Florida yet this year. The same encouraging trend has also been seen in Latin America and the Caribbean. Authorities now believe that those infected develop immunity to reinfection. However, authorities are also concerned that Zika may now be getting transmitted sexually. Work on a Zika vaccine is underway. Again, I encourage you all to contact your elected officials about your views on women’s health. Tell them the American people are willing to shoulder their collective responsibility for people's health care and the good of the future. I have just heard the best news about the Republican plans to replace the ACA (Affordable Care Act). Senate Republicans would like to postpone a repeal until……drum roll please …. the year 2020, when, you guessed it… another presidential election will take place ! I think this may be the GOP’s way of saying, “Sorry, never mind. We agree with President Trump who said, “Health care is hard.”." Especially now that the piper has started talking about getting paid… i.e. the Congressional Budget Office (CBO) has had it’s say, lawmakers on both sides of the aisle have come to realize that the costs of dropping the ACA provisions may exceed the costs of keeping them. There is however a need for action, and Senate Republicans will likely try to take action to stabilize premium costs. They will also to endeavor to continue federal insurance subsidies which help low income American with co-pays and deductibles. In other policy news, the Mexico City policy is back in place. This is the policy of withdrawing US aid funds from international organizations which provide reproductive services which include abortion. This is policy is meant to show the current administration's condemnation of abortion, and to curtail the incidence of abortion. However, Kenyan health care researchers have cited clear evidence from the past about what happens when the Mexico City Policy is in place. In fact, if these US funds are withdrawn from these types of health clinics, then many women go without health care and contraception and many more unintended pregnancies occur. Not surprisingly, under these circumstances, MORE abortions are actually performed. It seems impossible that the administration cannot be unaware of this. If this is true then it would seem they are really more interested in political posturing than abortion prevention or the health care of women. I'm going to speculate this this exact sort of thing will happen in that other part of the third world called Texas, where women's health care services have been severely restricted. The Mexico City rule is also called the “ global gag rule” since all US funds can be withheld even if the clinic staff even speak of abortion. Did you know that the current administration proposes not only to cut coverage of health care but also to health care research ? In his 2018 budget request titled “ A New Foundation for American Greatness”, cuts are proposed for the FDA ( Food and Drug Administration), the CDC (Centers for Disease Control), and the National Institute of Health (NIH) including the National Cancer Institute. How do you feel about this ? Tell your elected officials. In medical news, ACOG is trying to get the word out on normal anatomy. There is a disturbing rise in cosmetic surgery for the female genitalia, even in young women. ACOG (American College of Gynecologists) is trying to educate patients and clinicians about the considerable variation in normal anatomy. They are also cautioning against so-called vaginal rejuvenation surgeries and other procedures which can have serious complications. One has only to look at the high costs of such surgery and the lack of insurance coverage of it to know that it is simply a moneymaking ploy used by unscrupulous gynecologists. In the “ we already knew this” department, a new study has come out reiterating that domestic violence is more common in pregnancy. Everyone needs to be aware of this. In the "you have some control” department, new research indicates that even one 10 ounce alcoholic drink may increase your risk of breast cancer- by nearly 10 % in post menopausal women ! The same study also shows that vigorous exercise reduces the risk of breast cancer. Worried ? Stop drinking and start exercising. It has now been well established that the HPV vaccine works to prevent genital warts and reduce the incidence of cervical cancer. The new revelation is that for kids under 15, only two rather than three doses are needed. Do you snore ? If you do, go get evaluated, regardless of your age. It is clear that sleep apnea increases risk of cardiovascular disease. New research also indicates that it complicates pregnancy, increasing risks of gestational diabetes and preeclampsia. Bed sharing with newborns increases risk of SIDS ( Sudden Infant Death Syndrome). A new program which includes face to face education and distribution of baby box kits has been shown to be effective in reducing the incidence of bed sharing. Baby boxes provide a separate space for baby with a flat mattress and a firmly fitted sheet. These boxes, as opposed to a bed or crib with lots of blankets, toys and fluff, are much safer places for baby to sleep. Stay tuned for next week’s Medical Monday and thank you for your patience ! Policy news is once again front and center this week. For starters the Senate approved the controversial nomination of Representative Tom Price to be Secretary of Health and Human Services. The legislator is an outspoken proponent of repealing the Affordable Care Act (ACA). He has suggested replacing it with tax credits, health savings accounts, and high risk pools for sick costly consumers. Meanwhile more than 12.2 million people have enrolled in the ACA despite its uncertain fate. At the same time, insurers are warning that insecurity in the sector by itself could drive up premiums in the near future. The federal government has been looking at Medicaid block grants as a way to save money. This means each state would receive a grant of a fixed amount of money and it would be up to them to allocate it as per their state specific needs. Those favoring this approach cite the amount of money that would be saved. Those against this approach, divided, not surprisingly bye party lines, argue that it would result in slashed benefits and increased costs to states. On medical news, obesity is back in the spotlight. 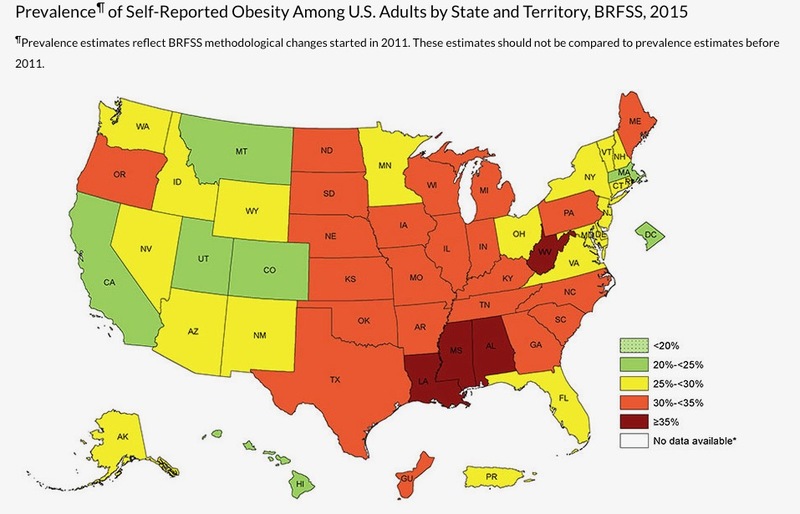 Obesity is epidemic, and it is costly. It also happens to affect fertility. New research from the National Institute of Child Health and Human Development found that among couples where the woman is obese the time taken to become pregnant is longer. When both members of the couple are obese, i.ewith the body mass index of 35 or higher, it takes 60% longer to become pregnant. Polycystic ovarian syndrome or PCOS is a cluster of signs and symptoms that relate both to fertility, menstrual functioning, carbohydrate metabolism, and cardiovascular health. It is often accompanied by high body fat percentages, if not obesity. New research indicates that disordered eating behaviors are four times greater among those with this syndrome compared with controls. Is already well-known that when PCOS patients lose weight, their menstrual functioning infertility improves. Obesity is a risk factor for many forms of cancer. New research published in the Journal of Clinical Oncology has indicated the converse. Intentional weight loss may reduce postmenopausal women's risk of uterine cancer. Is strange and concerning report, it has been discovered that large amounts of maternal licorice consumption during pregnancy may be associated with lower IQ, ADHD like behavior and early puberty in children. This was reported in February 3 online edition of the American Journal of Epidemiology. The study was a community based cohort study of 1049 people in Helsinki Finland. The compound in licorice thought to be the culprit is glycyrrhizin. This substance apparently blocks an enzyme we have which shields the developing baby from maternal steroid fluctuations. More research is necessary. It has also been shown that the prevalence of certain types of bacteria in the cervix may affect a woman's risk of preterm birth. Bacteria which we have considered normal, such as Lactobacillus, are protective against preterm birth, while other bacteria, specifically several anaerobic bacteria greatly increase the risk. These findings were presented at the Society of Maternal Fetal Medicine’s annual meeting. There are new recommendations for HPV vaccine. Children less than 15 would obtain it need only get two doses. Older children still need the three shot regimen. TapHOPV vaccine protects against cervical cancer and genital warts and may be given between the ages of 9 and 26. Stay tune for more exciting news from the World of Obstetrics and Gynecology, next week, on medical Monday.